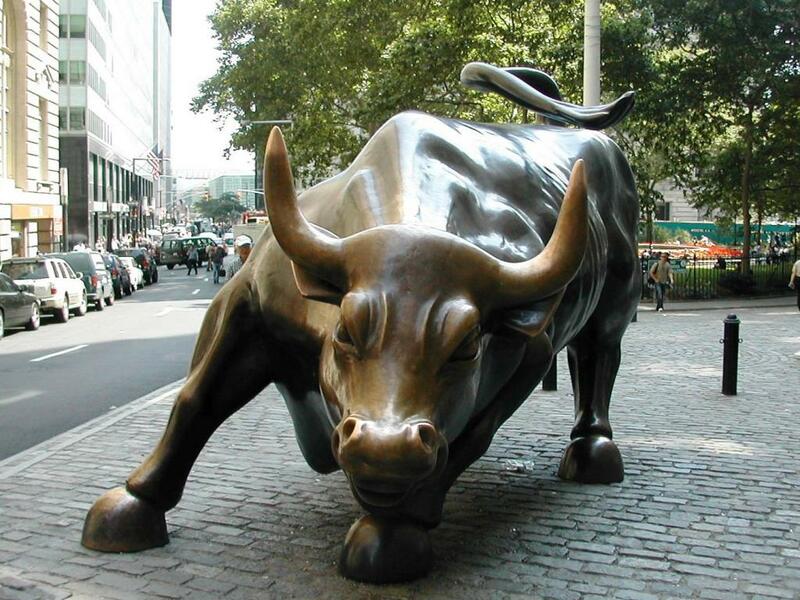 Bill Erbey, Ocwen Financial Corp (NYSE: OCN) founder, was also the designer of a complex tapestry of five interwoven publicly-traded businesses. 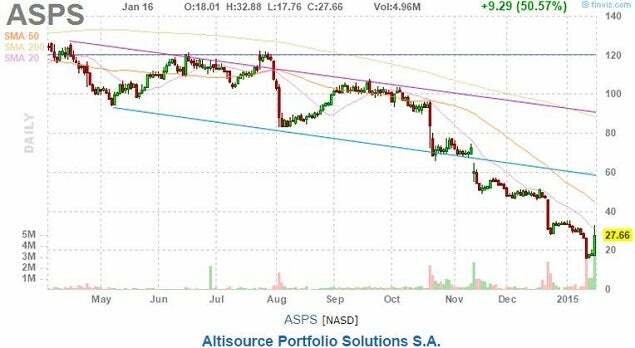 One of the five, Altisource Portfolio Solutions S.A. (NASDAQ: ASPS), was up over 50 percent on Friday, January 16, making it the top percentage gainer for any listed company on a major U.S. exchange. Ocwen has been the largest source of revenue for the sister company, which is contracted with Ocwen through 2025 to be a third-party provider of mortgage services, transaction services and technology services. 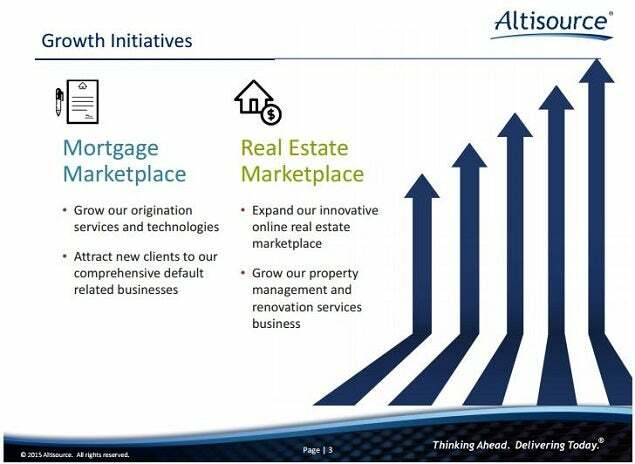 Altisource Asset Management (NYSE: AAMC), Altisource Residential (NYSE: RESI) and Home Loan Servicing Solutions (NASDAQ: HLSS) are the other three affiliated entities created to benefit from the growth of Ocwen's non-performing mortgage loan servicing business. Erbey was forced to step down from his chairman roles at these companies on December 22, 2014. 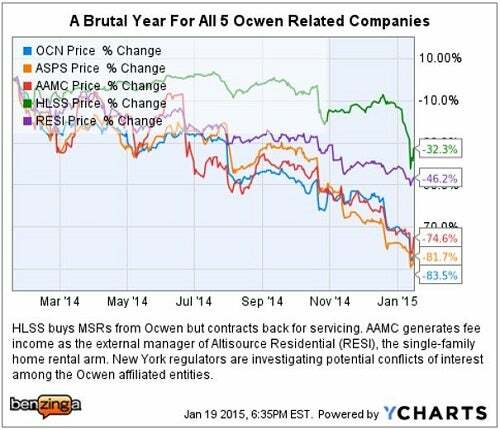 The once high-flying Ocwen family of companies had already been battered by fines and sanctions from both Federal and New York State regulators regarding business practices, which harmed homeowners and violated the rules for servicing non-performing loans (NPLs). On January 12, the Los Angeles Times broke the story that that mortgage regulators in California might suspend the licenses for Ocwen Financial to do business in the state. 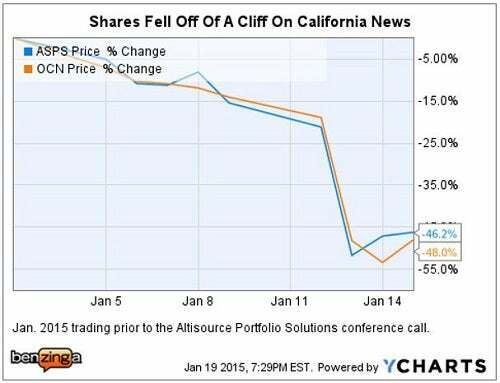 As more media reports and rumors began to circulate on January 13, shares of both Ocwen and Altisource plummeted in value once again, with shares down over 36 percent and 38 percent, respectively. A Good Day, Or Start Of A New Trend? 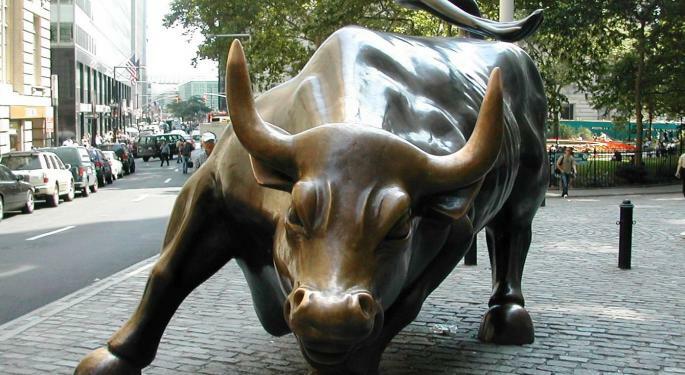 During the past year, Altisource shares have traded over $160 per share, and the company had bought back shares at prices as high as $104 per share. 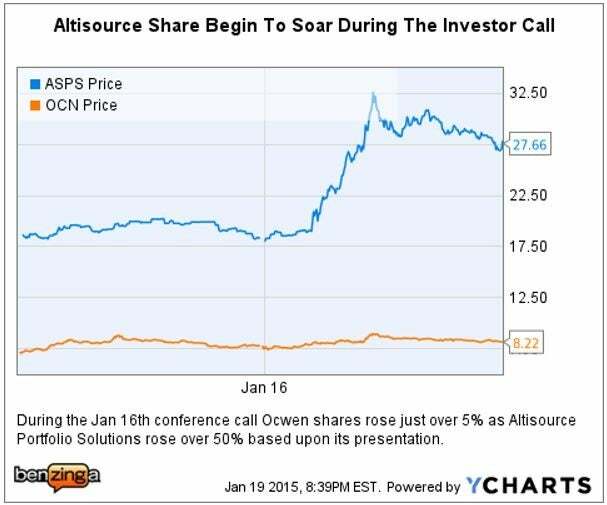 During a hastily called investor conference call on Friday, January 16, the Altisource Portfolio management team indicated that it was unlikely that Ocwen's California mortgage license would be suspended. 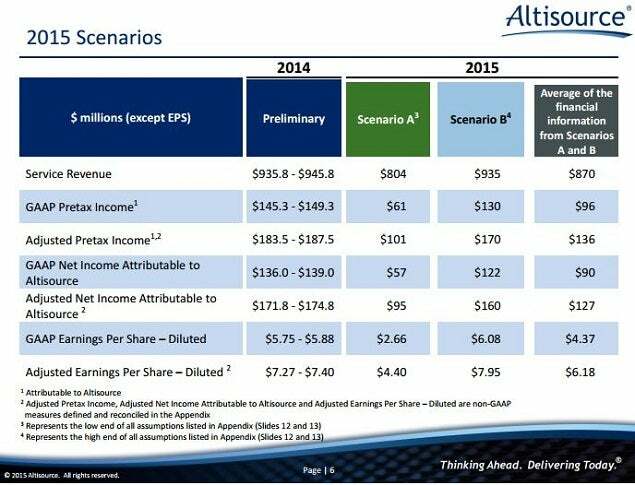 More importantly, the Altisource management team gave a presentation that spelled out for investors likely "best and worst case" guidance for 2015. Investors who follow ASPS closely were aware that the company discontinued its highly-profitable lender placed insurance brokerage business on November 12, 2014. 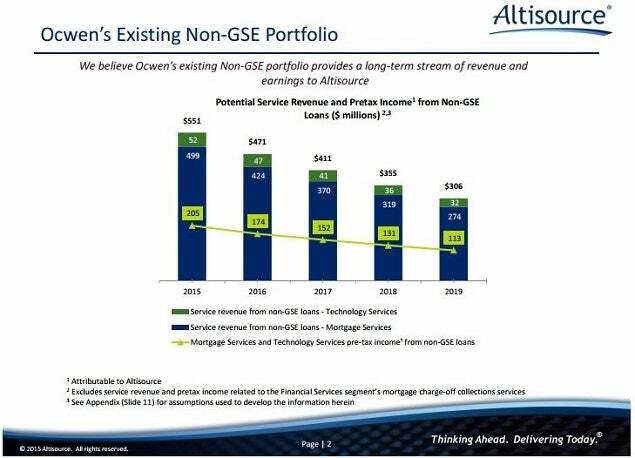 Ocwen had previously announced that in conjunction with regulator settlements, it was discontinuing its Government Sponsored Entity (GSE) mortgage servicing business, a significant blow to future ASPS revenue. 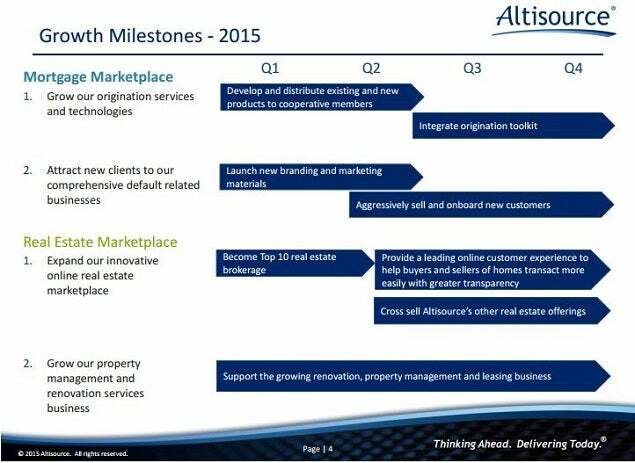 ASPS can leverage its recent Owners.com acquisition through its Hubzu online real estate auction sales channel. 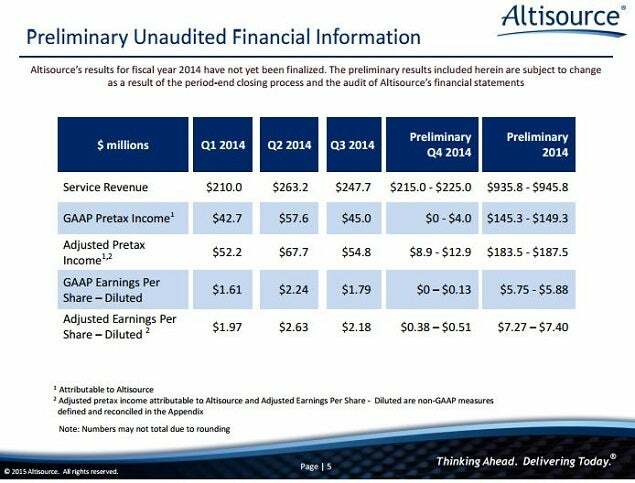 The huge decrease in Q4 2014 GAAP income is due in part to higher expenses from investment in new business growth initiatives for 2015. 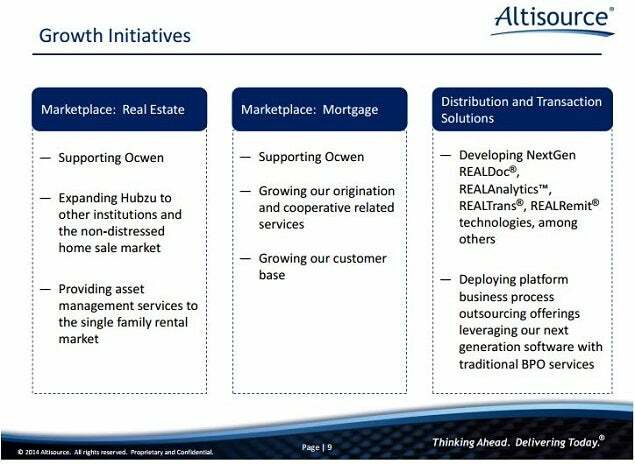 Altisource Portfolio Solutions appears to be building a business model to leverage its patented technology and NPL servicing experience, which will make it far less dependent on Ocwen moving forward. Management also indicated that it was planning on additional share buy-backs, up to the maximum allowed under Luxembourg law.